KUT's O’Dark 30 is now in semi-prime time with more of the very best from the world of independent radio production. Sunday nights at 10 on Austin's KUT 90.5 we present 3 hours of a little bit of everything from the world of independent radio production. Emotions run wild in a branding identity campaign. If you’re not from California, or missed this bit of news, the University of California has a new logo. Or rather had a new logo. To be more precise they had a new “visual identity system,” which is the kind of entirely accurate but completely wonky description that gets met with sarcastic eye rolls from anyone who isn’t a designer, but there it is. But they don’t have a new anything logo anymore. Because of a massive public backlash, the UC system actually suspended the entire new brand identity monogram while we were reporting this story. 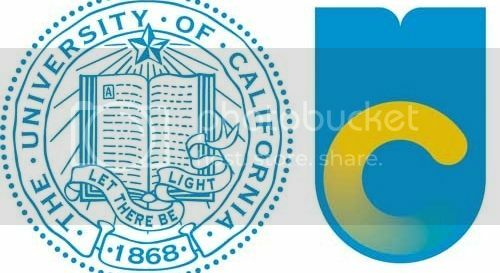 One of the factors that contributed to the negative public reaction was that fact that the UC monogram wasoften depicted side by side with the classic University seal in media reports. Christopher Simmons argues that this image, and the general ignorance of the press, implied that the UC monogram was replacing the seal. Actually, the seal was not going anywhere, but this fact was not always clear. And even if the text was accurate regarding the logo’s relationship with the seal, the visual language of the juxtaposition cemented people’s expectations instantly. The blog Brand New depicted a more accurate representation of the visual identity evolution. Another piece of the marketing that misled the public was the University produced video that graphically illustrated some of the design elements in the monogram being pulled out of the seal, followed by the old seal being brushed aside. As a stand-alone statement, the video reinforced a lot of the fears that people had about the new logo and what it might replace. Fourth generation UC Berkeley alum, Cyrus Farivar (see episodes #36 and #55, true believers) takes a look at the new UC logo and chronicles its tumultuous life and rapid death. We also use this opportunity to ruminate on the topic of how and when a design should be judged. **We corrected the audio to reflect this clarification. I’m embarrassed by the error. Two tech professionals and apple “fanboys” describe their relationship with the products from the United States’ most profitable corporation. They consider where the devices come from and what we can all do about it in the future. Avoiding the pitfalls of "parachute journalism" with Marketplace reporter Krissy Clark. It's always a mystery to me -- how does a reporter travel to a place they've never been to and report a story? It seems fraught. How can you possibly get the story right? In fact, this type of reporting is so risky it has a name, "parachute journalism," and it's definitely something you want to avoid. Marketplace Reporter Krissy Clark has a strategy for combating the pitfalls of "parachute journalism." 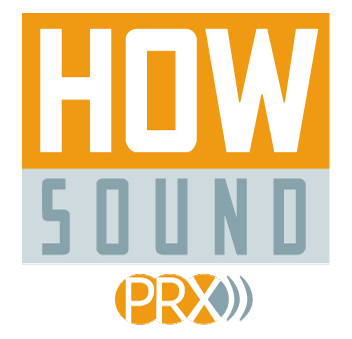 Krissy reveals her tactics on this edition of HowSound. She talks about living in Los Angeles but reporting on the drought in west Texas --- with only two days in the field. Talk about risky! And, we'll hear her story "The Green Lawns of Texas" which was produced for the podcast Freakonomics . As an added bonus, here's a great collection of thoughts on getting to know a place and finding stories. It was written by students my students at the Transom Story Workshop . A collection of remixed "Good Morning" voicemail messages from friends all over the world.